So I'm not a big promoter. That's not really my thing. But I am a fangirl, so I thought I'd pass this little jewel along. 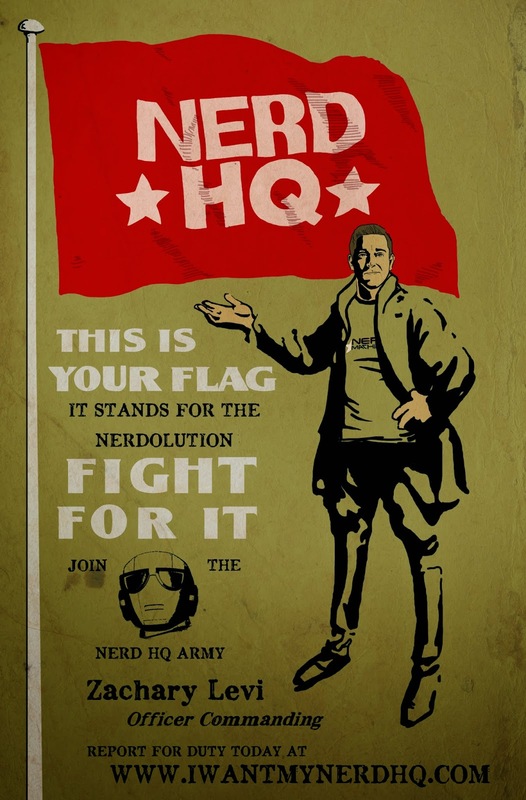 "I Want My Nerd HQ" is a Nerd Machine campaign to raise funds for the 2014 Nerd HQ event in San Diego this July. Nerd HQ brings you twenty-five plus hours of "Conversation for a Cause" content, live-streamed to everyone, FOR FREE, no matter where you are in the world. Let's break this down. You get to see hilarious and awesome panels with some of fandoms favorites (Nathan Fillion, Matt Smith, Tom Hiddelston, Jared Padalecki) while raising money for a pretty special cause, Operation Smile. Luckily for me, this also fits perfectly with my library's Summer Reading Program for teens. We're celebrating a summer where nerds can unite at several fandom themed programs and get involved in the community in fun ways. If you like how this sounds, or you want some more info, check out http://www.indiegogo.com/projects/i-want-my-nerd-hq-2014. Or the video below. Sigh. It's Chuck Bartowski :) All they're asking for is $5. $5 and thousands can be raised this July for Operation Smile. And you can giggle privately in the comfort of your own home when Captain Malcom Reynolds comes on the screen!